It is opportune while we are urgently fundraising to save habitats for big cats, that one of our ‘big cat’ partners, Grupo Ecológico Sierra Gorda (GESG) was notified on 6 October of a prestigious award. The honour is for GESG’s founder-director, Martha “Pati” Ruiz Corzo, who has won the Wangari Maathai Prize, awarded by the Collaborative Partnership on Forests (CPF). The award is in recognition of her pioneering work to preserve forests and alleviate rural poverty in the Sierra Gorda. 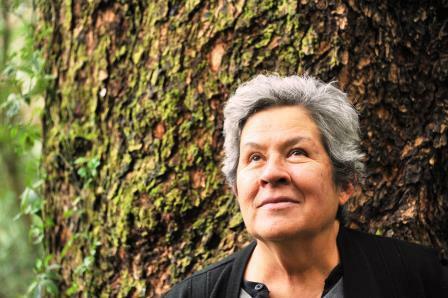 Martha “Pati” Ruiz Corzo, has pioneered rural community projects in the Sierra Gorda Biosphere Reserve, one of the most ecologically diverse areas of Mexico and home to Jaguar and other threatened species such Puma and other wild cats, as well as endangered macaws and rare hummingbirds. One of the most prestigious forest accolades, the Wangari Maathai Award 2014 recognizes extraordinary efforts by an individual to improve and sustain forests and the people who depend on them. The award was established by the CPF to honour the memory of Kenyan environmentalist Wangari Maathai, a champion of forest issues worldwide and the first African woman to win the Nobel Peace Prize. Since 1997 GESG and carried out an intensive conservation education and training for local communities, turning the reserve into a flagship for public-private ecosystem management. Hundreds of local families benefit from a ‘payment for ecosystem services’ programme, receiving financial compensation for conserving and replanting trees on their land, which in turn saves habitats by preserving local watersheds and reducing soil erosion. GESG also works to protect forests by promoting alternatives to subsistence farming, helping rural communities earn a living through sustainable small enterprises such as beekeeping, bottling and preserving forest fruits, traditional embroidery and eco-tourism. “Martha’s extraordinary commitment to preserving the biodiversity of her land and to lifting rural communities out of poverty makes her a deserving winner of the Wangari Maathai Award,” said Eduardo Rojas Briales, FAO Assistant Director-General, Forestry, and Chair of the CPF. ‘Pati’ was presented with the US$20,000 award at a ceremony in Salt Lake City during the XXIV World Congress of the International Union of Forest Research Organizations, one of the members of the CPF. 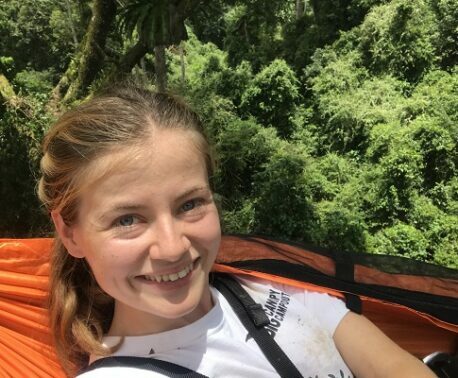 “I believe in the common good not only for the people that live in the Sierra Gorda but also for the conservation of flora and fauna with whom we share this biosphere,” she said. Roberto Pedraza Ruiz, “Pati’s” oldest son, has played a key role of the work GESG from the beginning and has become an internationally acclaimed photographer and wildlife expert. 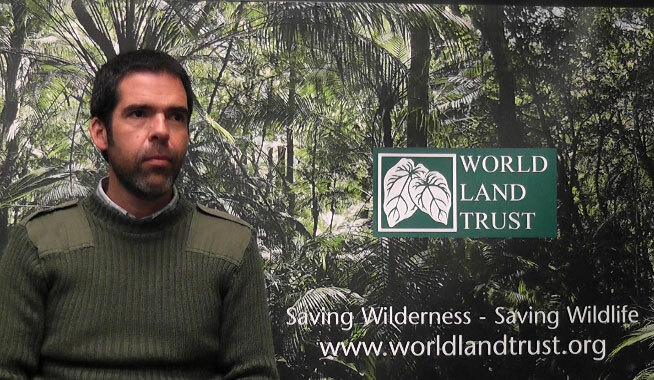 Well known to the readers of WLT publications and website Roberto acts as the Trust’s lifeline with the Sierra Gorda reserve. Passionate about everything he works so hard to protect rarely does a week go by without a communication from him. On the eve of Big Cat Big Match Fortnight Roberto sent this note to give us inspirations . WLT are raising funds to protect more habitat for big cats such as the Jaguar. By supporting the WLT’s Big Cat Appeal you can help secure land and fund rangers for the survival of Big Cat species.